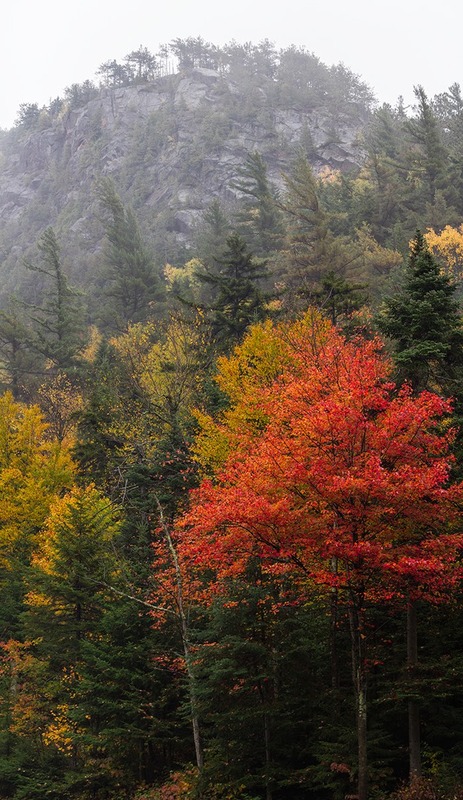 This is the perfect time of the year in the Adirondacks for mist and fog. The extreme variations in temperature (from day to day, from day to night, between water, air, and land) makes excellent conditions for fog and mist to form. 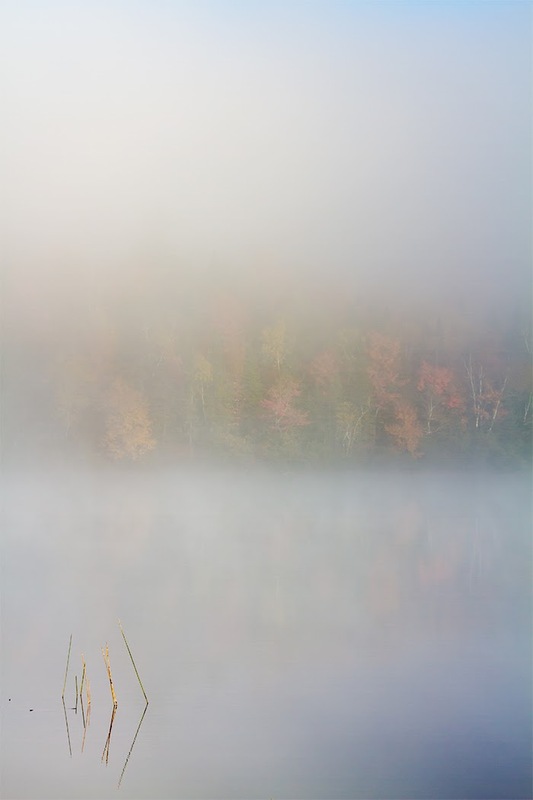 The most common and reliable fog in the Adirondacks at this time of year occurs around sunrise over the lakes, ponds, rivers, and other bodies of water. This evaporation or steam fog occurs due to the cold air passing over the warmer moist air near the water's surface. Connery Pond pictured above is an excellent site near Lake Placid to catch this type of fog in the morning. Although it can be so heavy as to obscure the sunrise and most of the scenery until the sun finally burns it off. I almost didn't take the above image. The fog was heavy and the trees on the opposite shore were not showing up very well in my exposures in the field. I knew the detail was there though, and a little "jiggery pokery" (who says that all the time, Jack Davis?) with the Basic sliders in Lightroom allowed me to bring that detail out in sufficient quantity to balance the properly exposed fog. The image at the bottom may not be technically fog, more of a low hanging cloud during a rainy day, although there may be a precipitation fog component to it. This image is a panorama composed from six landscape orientation shots moving down from the top of the cliff to the bottom. The original image is almost 2 feet wide by 3 feet tall at 240ppi! More images to come tomorrow. Have a great fall weekend! Cliffs and fall foliage along the Ausable River as it passes through Wilmington Notch.